Hello~ to all WB Fan.. Since so many people asking a great built of “BladeDancer” PVP and PVE.. This built skill is good and why? Fierce Lash – Max (This is the best long range skill for BD and for combo starter) This skill will up more range every lvl and gave a bleeding to ur opponent.. Spin Turn Thrust– Max (This skill is mid range for BD and really nice for combo and stun) This skill gave u Iframe and semi-superamor…. Iframe when u land 1st hit to ur enemy and semi-superamor in 2nd hit. 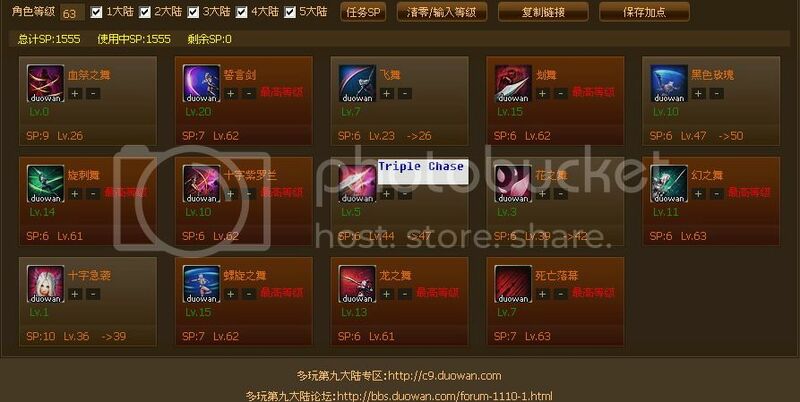 Tripple Chase – lvl 3 – lvl 5 (This skill for chasing and escape) This skill can go through some certain projectile even arrow shower sometime @_@!!.. Nether Shroud – Max (This skill have longest CD 60sec) But this skill is special DMG can go 480% ++ and if u know how to make it 2x hit that really good… When u hold “W” it will give u fast more movement and going through almost anykind of enemy skill.. (counter skill) but this skill really weak at HB = HeartBreaker and Chain Scissor Slash From “Slayer”.. HB and CSS can counter N.Shroud skill easy so be carefull when u fighting them.. Violent Bloom – lvl 1 – lvl3 (This skill can block any projectile but not Drill shot and ice shot from ranger) This skill have 4x hit at lvl 3 this skill enough to kill warden pet Skull jape or trap from scout..
Pirouette Strike – Max and pasive lvl 45 (This skill good for PVP and PVE DMG dealer).. Spinning Heart – lvl 1 or ? (Depend on player) I suggest for lvl 1 this skill is for u distance close to enemy or run or cancel skill for combo started..
Blaring Silhouette – Lvl 10 or max? 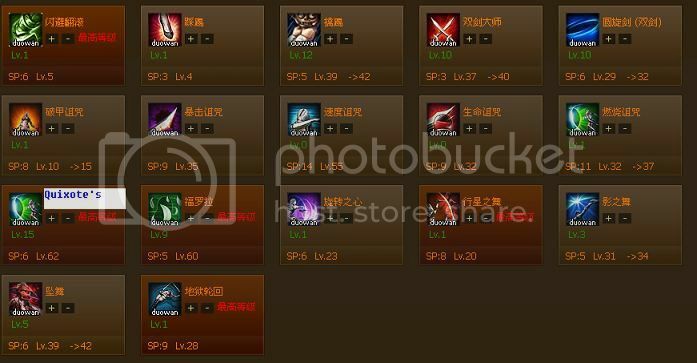 ( Depend on player) this skill gave decrease enemy p.def and have semi-superamor 0.3 sec..
Silhouette Ariel – Lvl 1 or lvl 3 (depend on player) lvl 3 for more lifthing enemy and DMG… Suggestion lvl 1 for saving SP…. Viper Knee Kick – Lvl 10 – max (Combo and DMG) Lvl 10 for SP and max lvl for dmg..
Quixote’s Wrath – Max (good for dmg and stun combo started) This skill can crush enemy blocking (guard).. Spirit Lurh – lvl 1 or ? ( depend on player ) suggestion lvl 1..
Flora’s Shadow – lvl 7 – max (The great skill for close ur distance to enemy or escape and BTW this skill have trick for using only Superamor “Q” + “W” and fast press “S”) It will not moving anywhere but it give Superamor..
Up all usefull command skill Hell Turn and cosmic..
How to make a combo and some skill to close up my distance to enemy or how to beat range class and mage?